From Copenhagen, comes the most streamed Danish metal act of 2016 and one of the rising stars in the djent and tech-metal Ghost Iris. Following up the recent 2016 breakthrough the band released their second full length album "Blind World" via Long Branch Records on 17th of February, 2017. Already sharing stages with bands like The Devin Townsend Project, Veil Of Maya, Born Of Osiris and playing festivals as Copenhell, UK Tech Metal Fest and Euroblast Festival the future looks bright for Danish Tech-Metal and that is due to these guys march on the scene since the formation in 2015. 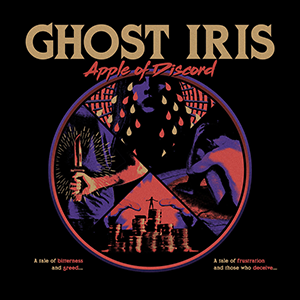 "While I’ve always found transient enjoyment in progressive metalcore, it takes a unique artist within the genre’s confines to truly hold my interest over a span of repeated listens—and that’s something Ghost Iris have done in short order.